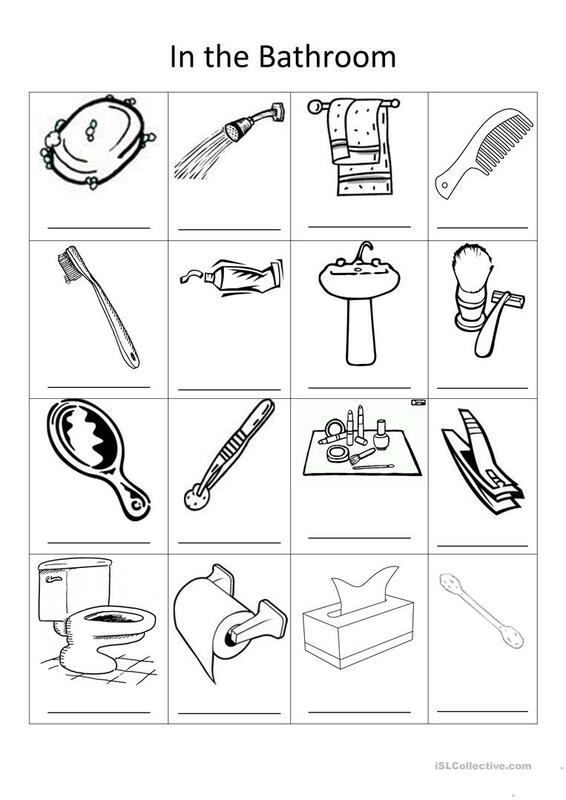 A worksheet featuring 16 images of items commonly found in the bathroom. Includes space for writing the word below and black and white images that can be colored in. This downloadable worksheet is intended for elementary school students at Elementary (A1) level. It is a valuable material for honing your class' Spelling and Writing skills. It focuses on the topic and words of Home.